Join Maria Owl and Duane Michael for a weekly collaboration on focused global lightwork. We do this work through a co-created 5th Dimensional non-temporal reality sphere. We will be working multi-dimensionally, so please make sure you’re grounded and hydrated before the call. 1. What is the current mission? 4. Lightwork from a 5th Dimensional outside time/space bubble. 5. Where to focus for the week. 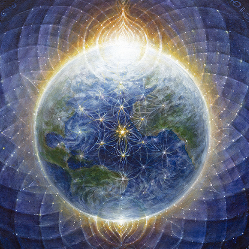 Because everything is connected, our lightwork serves to elevate the world, and also our own lives. * This is a “directed” call by Maria and Duane, meaning there is no engagement between participants and the hosts. Just call in and participate energetically in your beautiful, unique way.